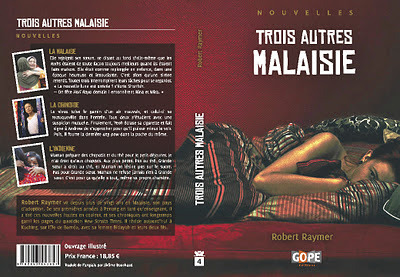 I’m told that Trois autres Malaisie is still under proofreading and it should go under print by the end of October-early November. The next post on the book blog will be a short bio of the translator Jerome Bouchard, who I met in Kuching back in June. According to the publisher, Editions GOPE, too often translators work in the shadow of the writer and don’t get the exposure they deserve. I have to agree. Often it’s the translator who finds the writer and introduces him to the foreigner publisher in the first place. Clarke was not put off and replied, “All right, then, can I try and find a publisher for the book?” Twenty-two publishers turned Clarke down before someone at HarperCollins said yes. The book, under a different title, didn’t sell. Undaunted, Clarke translated The Alchemist and offered it to HarperCollins and the rest is history. Sometimes it's a matter of perseverance, even in translation.